This post was inspired by a conversation with a friend. Buzz phrases like “collaboration over competition” and “women supporting women” seem to fill up Instagram captions, but what does it really mean? Social media is what you make it- it can be a really positive platform for you if you use it to inspire and be inspired; to learn and to share. Or it can be the opposite. Admittedly it is hard to suss out authenticity and true supporters. It is so easy for some to mask who they are and portray a certain persona. I spent most of last year connecting with many “influencers” in the wellness and travel community in Toronto at various events and meet ups. I enjoyed meeting many people I wouldn’t have otherwise been exposed to. Some I formed a genuine connection. I want to share with you 5 beauties in Toronto that truly resonate with my philosophy of the kind of girl you want to be friendly with. Full disclosure, I met them all independent of social media, but social media is what kept us in touch. These beauties (both inner and outer) always add to my life- be it their positivity or words of wisdom or gentle smiles. With that, I thought it would be a fun project to share more about these ladies with you. I interviewed each of them so I hope you have as much fun as I did getting to know them better. Most of us met up for a photoshoot as well , and so they could all meet each other. Juelz wasn’t able to make it our meet up but she still participated in the Q&A, so check her’s and the other ladies responses below. 1. In a sentence or two, describe yourself – where you are from, what you do, etc. Hi! My name is Claudia Erban, and I’m a small town girl living in the big City. I was Czech raised (Austrian born) and lived on the West Coast until six years ago. 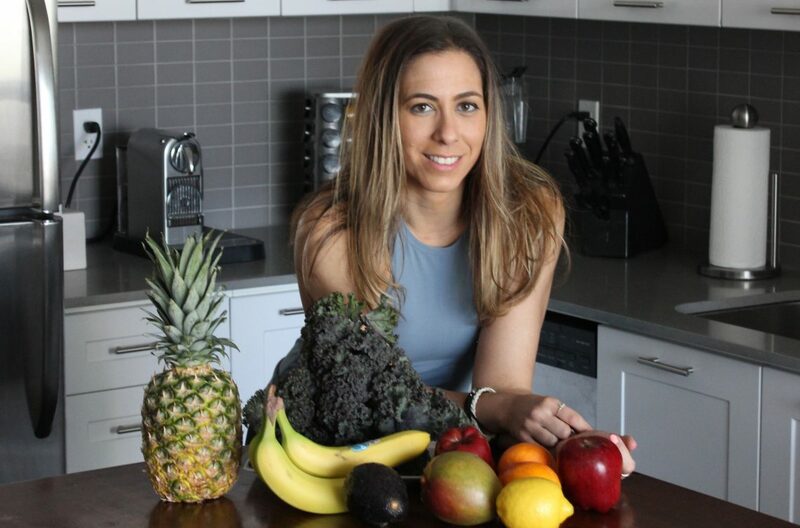 I found my way over to Toronto where I now work as a Law Clerk but put my energy and passion into my lifestyle blog – fitness, specifically, is my jam! 2. You have a passion for fitness, but what specifically about it motivates you to stay so focused with it? The ability to live a more fulfilled life is what motivates me to stay focused and keep fitness a big part of my world. I’ve not only grown stronger physically, but, I’ve also transformed my mental strength and my perception of how I view myself and the world around me. I have my days, I’m only human, but I feel as though I’m breathing cleaner air because I’ve invested my time into living a healthier life – making the most of every single day! 3. What is your favourite form of fitness (e.g. boxing, spinning etc)? Kickboxing has my heart. I’ve never felt stronger than I do now. I sweat hard, I work hard, and I have to stay focused when I’m kickboxing. A year in and my body has transformed. My perception of my body has completely changed. While much of that came from the brilliant coaches I’ve had the pleasure of working out with, it’s also been the time and energy I’ve put into kickboxing and seeing myself grow that has allowed me to break this negative cycle of criticizing every inch of my body. Kale. I love it so much that I think it’s become an interest of mine! Can it be an interest ha ha? If not, I love make-up. While I don’t wear a lot of it, I was a make-up artist in my former life and it’s a way for me to let my creative side flow. I’m also very interested in health and nutrition; what we put into our bodies, on our bodies, and how we can ensure we get the most out of it. Fact: drinking celery, just celery juice on an empty stomach in the morning is beneficial – not when you combine it with cucumber or anything else. Just plain celery because straight up it does the job while adding other ingredients changes the balance and benefits. That’s something I love knowing…and interests me! 5. You come across as a positive and happy person, especially on social media. Can you share with us any tools or habits that you use to create this mindset. I’d like to say I’m a happy and positive person 75-80% of the time. I work, a lot, I’m far from family, and stresses of that and life can easily affect me. So, I can’t say I’m 100% positive (just need to put that out there). But, what I do try to remind myself daily is to create a more positive mindset by being grateful every morning I wake up. I like to smile, be thankful for living a life with possibility and freedom, say something positive, and set the intention that today is going to be a good day. I feel that the more positive energy you put out, the more positivity you attract. And remember, whenever your energy becomes negative, wonder if it’s really worth placing your energy there or if it can be spent on things and people that deserve it! When I do that every morning and catch myself when I’m down, I see that those downs are less frequent and my days more enjoyable and positive. 6. What are some of your favourite foods? Kale (an obsession), FRIES, chocolate, cheese, truffle on pasta, island fruit, and….schnitzel! 7. Name one thing you have to keep in your purse. Chapstick. I can’t live without it. Marrakesh, Morocco. The home to beautiful mosques, palaces, secret gardens, and the most gorgeous textiles, pottery and jewelry. I want to wander the alleys and spend time at the marketplace, take in the culture, ride a hot air balloon or camel, and find the most beautiful riad to stay at. Everything will be okay in the end. If it’s not okay, it’s not the end. – John Lennon. 10. List 1 main thing you hope to accomplish this year. Even if it’s just one person, I hope to encourage someone or more to become themselves, confidently. To help people change their perception of themselves and the world in order to live a healthier and happier life. If I can do that through my posts, interactions, or possibly leading workouts (definite goal), then that would make my heart burst. My name is Vanessa, I’m originally from Belleville Ontario, and I am a personal trainer based in Toronto. I train independantly, and am also a trainer for Fit Squad. I owe a lot to fitness. It has helped me realize and become who I was meant to be, and has helped me out of some dark times in my life. After I saw and felt all of the positive mental and physical changes that it gave me, I was hooked, and I never stopped. I absolutely love feeling strong and helping others feel the same way. It has shown me what I can be capable of and how great life can be, and I thoroughly enjoy watching my clients become better versions of themselves and take control of their lives and their health. It is also constantly energizing and very gratifying knowing I have found what I am meant to do with my life, something I am endlessly passionate about, which I think is very rare in our society. I love singing and have since I was young, but never did anything with it. It is my private passion and another thing that makes me feel alive and feeds my soul. I also used to be an actor and acting is still very dear to my heart. comes my way. Like many people, I’ve gone through some rough years in my life, and am thankful to have come out stronger and better. This appreciation and gratitude is what keeps me positive and is also what fuels me to communicate the lessons I learn on social media. As I’ve come to learn, sometimes you think you are alone in a thought, feeling or situation, but don’t close up and hide away. When you open yourself up, you quickly find there are others who share similar things, or have their own things. And through sharing we can relate, connect, help each other, and ultimately get better. The positive side of social media is it can be a tool to help us do this, which is pretty cool. If I had to chose one last food to live off of it would be coconut, in all its different forms, they are the greatest thing ever. But otherwise I truly love eating well. Healthy foods make me feel awesome, plus healthy snack foods are the bomb. I am also always down for Mexican and have a serious, and I mean serious, love affair with chocolate. It’s a tie between a water bottle and Burts Bees. I’m going to Thailand and Bali this year which are both bucket list places for me. “Selfishness is the ability to stay connected to oneself in the presence of others.”-Esther Perel. I love this quote because it completely shifted my view on selfishness, which unfairly has a negative connotation. I would love to get my StrongFirst Level 1 Certification. I think it’s one of the coolest benchmarks of strength, and I want to challenge myself to accomplish it. I’m Farida J I’m a 28 year old Personal Trainer. Born and raised in Toronto and my family comes from Afghanistan. I love the way working out makes me feel. I used to be extremely skinny and weak. I’m lifting weights almost as heavy as me now. I believe once you see results with your training, it just makes you want to keep going. My favourite form of fitness is split training. I train each body part twice a week. I recently got into Spin and I’m absolutely loving it! I love spending time with my family and fiancé Andre. I snowboard every Fridays in the winter. I’m always laughing, telling jokes, and I’m really silly. I love my Mom’s mantu (afghan dumplings), chicken wings, and chipotle. I also have this thing for buffets lol. My resistance bands. I have one in every bag! To pay off some of my debts and to save money! My name is Juelz and I am from California originally. I moved to Toronto from Miami 2 years ago and established my Pilates practice Zen Hot Pilates. What motivates me about fitness is just knowing I’m doing something great for my mind and body and that’s what keeps me focused and consistent. Those benefits usually outweigh the aesthetic goals I have. I definitely have a lot of favorite forms of fitness, but ultimately my passion for Pilates took the cake. It combines mind, body and spirit in a way other forms of fitness just couldn’t . I think it’s the most well rounded form of fitness for me. My other interests are everything skin and beauty related. Music and dancing definitely light up my little soul. I’m also a Kareokee enthusiast, though I can’t sing to save my life. And books! I love reading them, holiding them, smelling them. Meditation. Period. I attribute the quality of my mindset each day to how consistent my meditation /mindfulness practice has been. It’s something that has been proven to me time and time again and I know it works for me. I love Italian, Mediterranean and Mexican food -obvi. I’m a sucker for olives, cheese, carbs and some good wine, but a girl can always go for some tacos. Pocket or purse, I always carry my wallet and my chapstick. I’m a simple gal.